With a well-educated and highly skilled workforce, affordable green energy, and tremendous investment and business accelerator opportunities, Reykjavik is quickly gaining a reputation as a Startup City, an incubator for burgeoning and globally facing entrepreneurial ventures. The IT startup scene is located all over the area. Reykjavik Capital Area offers startups great opportunities, affordable green energy, and centrally located office space near a good selection of eateries, cafés, and bars. Reykjavik has a significant amount of IT talent with an entrepreneurial mindset in a close knit creative society where most companies are positioned for globally facing business. The Reykjavik startup ecosystem has a number of events such as Startup weekends, business plan competitions, and the Startup Weekend Reykjavik and various Entrepreneurial conference. 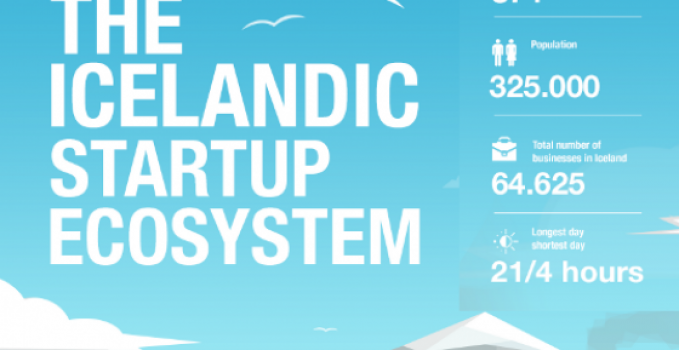 Startups are further supported by innovation support companies such as Iceland Startup, Innovation Center Iceland, and the Startup Reykjavik accelerator program. Over 30 companies and institutions in Iceland have established the Icelandic Aluminum Cluster. The founding companies work in or for the aluminum industry in Iceland in the areas of production, service, processing and development of aluminum production. The objective is to increase the competitiveness of the participating companies in the cluster through increased cooperation and exposure, research and innovation in the field. Among the founders are aluminum producers, engineering firms, mechanical shops, equipment suppliers, logistic firms, shipping companies, construction and financial firms, as well as research and educational institutions. Iceland has two leading companies in the world in the marketing and distribution of fish, two leading players in food shipping in the North Atlantic and over 70 technology firms, many of which have become global providers of various products for the food, aquaculture, and fishing industry in the world. Seafood export represents around 36% of Iceland’s total product export in 2017. The seafood indurstry has a 10% direct contribution to GDP which is amongst the highest in the OECD. On the basis of high value seafood, Iceland has created several world class technology companies serving the seafood sector which have diversified into other areas. Along with the technology sector, ocean related biotechnology has been growing fast and a number of companies exciting companies established in recent years. The major universities work with the seafood sector in increasing productivity. The Icelandic fishing fleet is one of the most advanced in the world and is a lead user for many industry innovations. Iceland has developed specialized knowledge in several fields of health throughout the past few years. This has happened through the combination of well-educated workforce with an international outlook, both in Europe and the US, an entrepreneurial environment and a sophisticated health-care system. Iceland’s health cluster is strongest in the fields of pharmaceuticals and medical equipment where it has world class companies. Around 1/3 of Icelandic R&D output goes to medical sciences and around half of all peer reviewed papers from Iceland concern the medical industry. Iceland’s medical products industry has been growing rapidly with many interesting companies being established. The best known companies are Allergan pharmaceuticals, Alvogen pharmaceuticals, and Össur prosthetics—all top companies worldwide in their fields. Several foreign companies have research divisions in Iceland, such as Amgen which has a genetics research department in the Vatnsmyri science park. The health cluster also includes companies focusing on public health such as Lazytown, which produces entertainment for children focused on healthy living. Iceland is also a well-known health tourism destination with one of the world’s best Spas, the Blue Lagoon. Tourism is booming in Iceland, generating strong growth. Tourist arrivals in Iceland have increased fivefold since 2010 to 2.2 million in 2017. The tourist surge has helped Iceland achieve an exceptional export-led economic recovery since its 2008 financial crisis. A number of factors triggered the surge, including a volcanic eruption, film and TV, the rise of social media and successful marketing campaigns. With sensible policy choices, tourism is set to become a permanent pillar of the Icelandic economy year-round as Icelandic nature and northern lights continue to attract tourists. The number of inbound tourists in 2018 is forecast to reach 2.5 million. The key markets for Icelandic IT are UK, Scandinavia and North America. The current key sectors are gaming, web hosting, data storage and seafood related services. Iceland has a very tech savvy population, with very good access to broadband and good education. This makes Iceland an attractive place to build and test new technology before moving into larger markets. The sector’s fastest-growing segment has been computer game sales. The same trend can be observed overseas, in line with increased computer and Internet use. Iceland’s video game turnover is nearly entirely export-driven. The creative cluster consists of various enterprises, entrepreneurs and institutions in architecture, design, literature, arts, music, fashion, and film. 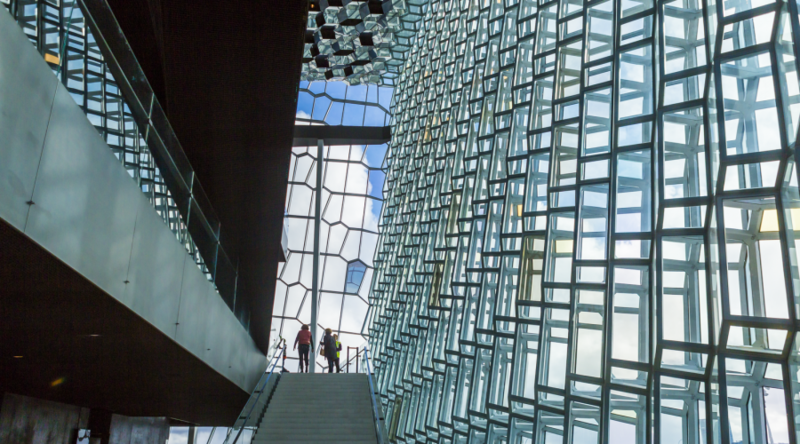 The creative industries in Iceland have flourished and Reykjavik has become a melting pot of exciting new creative enterprises, with individuals seeking to expand their businesses overseas. The Icelandic creative cluster has two strong sub-clusters in design and film. Iceland has become popular as a filming location in the last few years. Iceland has built a small but highly flexible and creative filming industry which has experience working with Hollywood’s top talent. The Film in Iceland agency is responsible for attracting foreign movies to Iceland. Building on these large foreign projects and on the ongoing local development, Iceland has developed its own film industry. The largest company in the film industry is Turner Broadcasting, which owns Lazytown, a children’s TV show viewed by children in 170 countries. Other production companies include Saga Film which is one of the three major service companies to foreign film production crews along with True North and Pegasus. Iceland is uniquely situated in terms of access to a quality resource. The high percentage of geothermal energy as proportion of Iceland’s total primary energy (85%) consumption is unique in the world. Most of the development of geothermal utilization in Iceland has occurred for the last one hundred years or so, especially in the latter half of the 20th century. Iceland is a strong player in the global geothermal market, enjoying the benefits of a powerful geothermal cluster. The cluster’s strength consists of a developed system for using geothermal energy in multiple ways, experienced specialists, and a strong international reputation and network. Icelandic geothermal companies are working on projects in over 50 countries around the world utilizing Iceland’s strenghts in the field. Onpower (Reykjavik Energy) is probably the largest geothermal company in the world based on power creation.